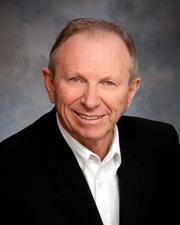 Murray has been a realtor for 25 years in the Foothills region. He and his family have resided and worked in the Foothills area for over 34 years. Murray has acquired multiple awards and recognition from Century 21 and the real estate industry for his tireless efforts which prove that his work ethic is in the clients’ best interest. He has 55 years of agriculture experience in grain farming, cattle ranching, equipment dealership sales, and rural property real estate professional. His knowledge in this industry makes it an advantage for buyers and sellers of all levels. Send feedback, or ask a question! Murray has spent 55 years in the Agricultural industry. His experience in grain farming, cattle ranching, real estate investments and enthusiasm in the agriculture sector have given him a wealth of knowledge. Murray has been involved in agriculture sales in the Foothills of southern Alberta since 1982. Since entering the industry of agriculture real estate in 1992 his business has encompassed the Foothills of Southern Alberta, Central Alberta.